what they are going to learn in the lesson. how they are going to learn it. At National City Middle School in National City, California, teachers post the learning target for the day and ask students to focus on the verb. 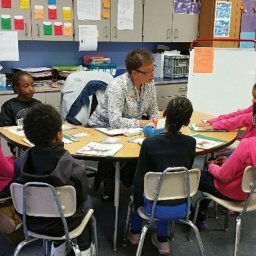 “What are you going to do today?” an English teacher asked, prompting the students to respond, “Analyze.” “And, what will you be analyzing?” he continued. “Character personality traits,” a student answered before the teacher led students in a discussion of the specific meaning of this objective. This is starkly different from classrooms in which teachers post “Math— pages 145-147” or “photosynthesis” as an “objective.” In such classrooms, teachers let students know about the activity in which they will engage or the topic area they will address; however, students do not necessarily understand specifically what their teacher expects them to learn or understand. These objective-driven lessons are also different from lessons in which teachers specify only a broad standard or learning goal. In some cases, a standard or a learning goal might encompass multiple objectives requiring a sequence of several lessons. For example, a broad standard might require students to understand fractional concepts. This standard could include a vast array of specific objectives, such as identifying fractional parts of a whole, converting improper fractions, and identifying equivalent fractions. Stating the standard or the learning goal might be helpful in giving students a picture of what they should ultimately learn; however, it might not help students understand what they should know or be able to do at the end of the day’s lesson. In the highest performing schools, teachers recognize that they often need to identify and teach several objectives in order for their students to master a specific standard or learning goal. Teachers are explicit in defining the objective they want their students to learn at the moment, en route to mastery of challenging standards. Frequently, in our visits to classrooms, we ask students what they are learning at that particular moment. In many typical urban schools, we hear students respond, “We’re reading this story” or “I’ve got to finish this worksheet” or “I’m supposed to answer these questions.” Their answers suggest that their goal is to complete the activity, do the assignment, or follow the routine. In contrast, in high-performing urban schools, students are much more likely to respond that they are learning a specific academic objective: “We’re learning how to calculate the volume of a triangular prism” or “We’re trying to determine the author’s purpose in different kinds of texts” or “We’re learning how heat influences the water cycle.” In these classes, students know the lesson objective, often because it is posted and discussed. Teachers engage students in discussions concerning both what they will learn and why it is important. It is important to note that in high-performing urban schools, objectives drive lessons. The activities implemented, the questions asked, the examples provided, the materials chosen, and the tasks assigned are heavily influenced by the objective. 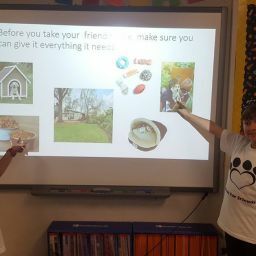 “Everything I do, from start to finish, is designed to teach my kids the particular objective I need them to learn,” a teacher at Benjamin Franklin Elementary in Bakersfield, California, explained. Similarly, the principal of Thomas Henderson Middle School in Richmond, Virginia, insisted, “All of our instructional decisions are purposeful. We don’t do things just because the textbook says or because that’s the way we taught it last year. 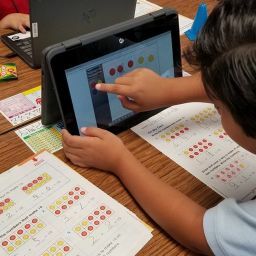 We do things to ensure students learn the objective.” In objective-driven lessons, teachers are constantly focused on what they want students to learn and how they want students to demonstrate they have learned it. 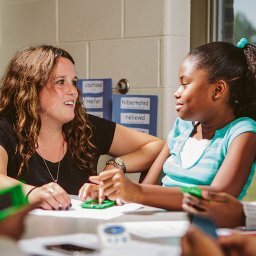 While teachers attend to the objective, they also focus on how each student is progressing toward learning the objective. Teachers plan, monitor, and adjust their teaching so that there is a high likelihood that all students will master the lesson objective.